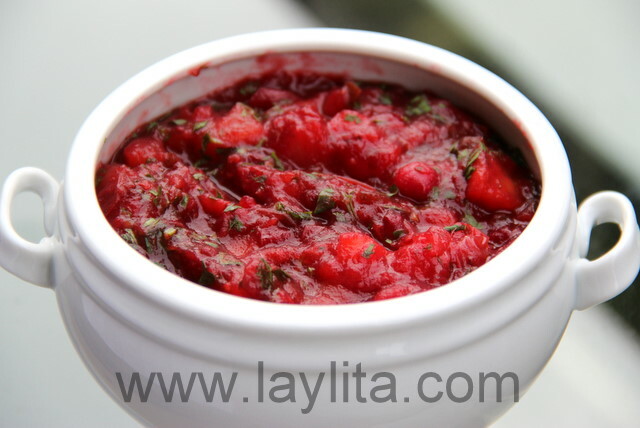 This easy to make cranberry sauce made with mango, jalapeños, brown sugar, passion fruit juice and cilantro is my take on how you would convert a Thanksgiving cranberry sauce into a South American hot sauce. 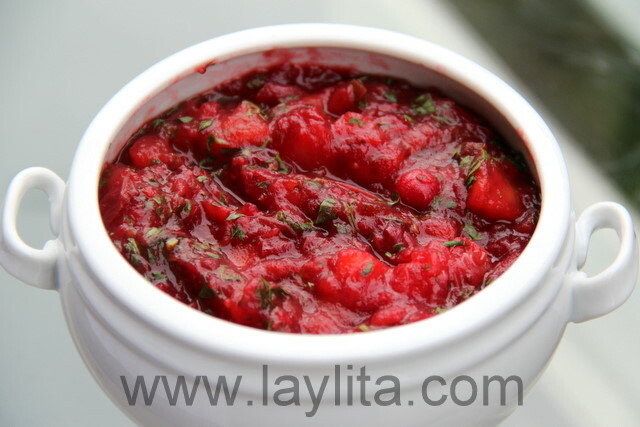 In fact, when you taste this cranberry sauce it will probably remind you of Ecuadorian tree tomato hot sauce. I usually remove the seeds and membranes of the hot peppers so that the sauce is spicy but not too hot for the kids –in full disclosure my kids really like spicy sauces and always ask for some hot sauce to accompany their main meals. 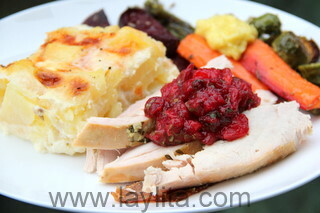 I also typically prefer Serrano peppers over jalapeños as they are spicier; however I found some very spicy jalapeños which were perfect for this cranberry sauce. 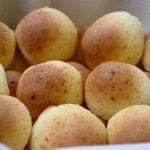 Instead of water I used passion fruit juice, though you can also use orange juice if you can’t find passion fruit juice, to enhance the tropical taste of this sauce. 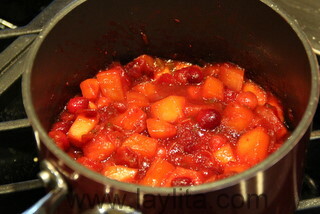 This cranberry mango sauce will go great with turkey, but also with pork, chicken or duck dishes. 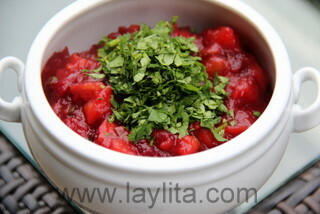 Spicy cranberry sauce recipe made with fresh cranberries, mangoes, jalapenos, brown sugar, passion fruit juice and cilantro. 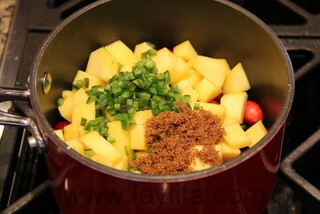 Combine the cranberries, diced mango, diced jalapeños, brown sugar and passion fruit juice in a small pot. 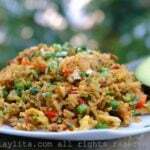 Mix in the chopped cilantro and let the sauce cool down.